A fortified Medieval castle, right on the Parisian Metro network. People think that in order to see French chateaux, they need to leave the capital and head for the Loire Valley or Versailles. Or that French chateaux are frilly pleasure homes. 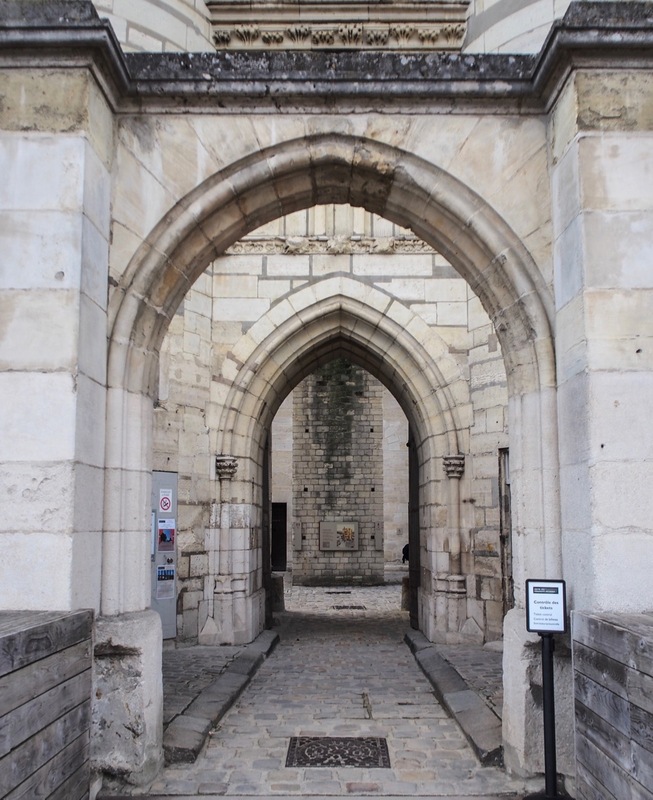 Chateau de Vincennes debunks both those myths. It's right in Paris, a few stops from the Marais. And rather than a baroque pleasure dome, it's a castle with cojones: grim, tall and forbidding, the Medieval equivalent of Saddam's bunker. Easily visited from central Paris, it adds a bit of spice to the typical Parisian itinerary of Hausmannian architecture and impressionist art. In the suburb of Vincennes, just down Metro Line 1. Map. FOR MOST VISITORS to Paris, seeing a chateau means a quick dash to the Loire Valley, or down the 7th circle of Hell that is the crowded mass of Versailles. But Paris offers a number of alternative options for those who want to see chateaux. 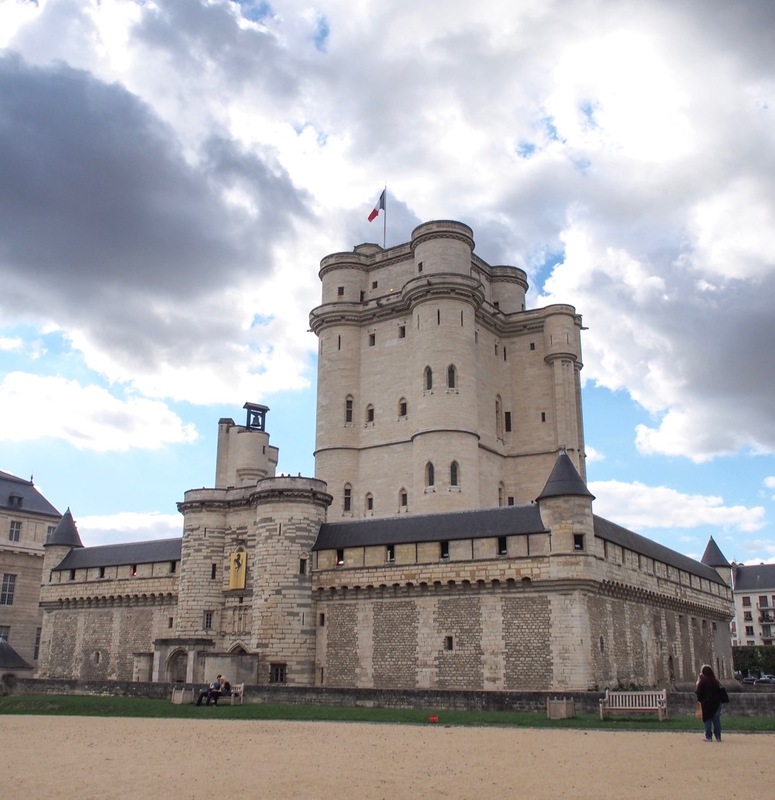 And the easiest of these, although most certainly not the most-visited, is Chateau de Vincennes. Located in the suburb of Vincennes, just outside the Périphérique, it is hiding in plain sight. When Minor Sights visited, the Chateau hosted a modern (street) art exhibition by the artist Zevs. You will see his works in some of the pictures. Keep your eyes peeled for other exhibitions, as they change frequently. The Liquified Ferrari logo is by Zevs- a nice heraldic touch. Chateau de Vincennes is really the 14th century equivalent of Saddam's bunker. A place to hole up, high and dry (literally, in this case) in case the people, tired of being taxed and abused, rose up, pitchforks in hand, to despatch their feudal overlord. Your usual French chateau is a large manor, a country residence for the aristocracy, lacking walls and fortifications. By the 17th century, the people had been sufficiently subdued that tall walls and deep moats were not required. Chateau de Vincennes is different. It is a chateau fort: a true castle, a fortress built to keep the riffraff out, and the royals safe. 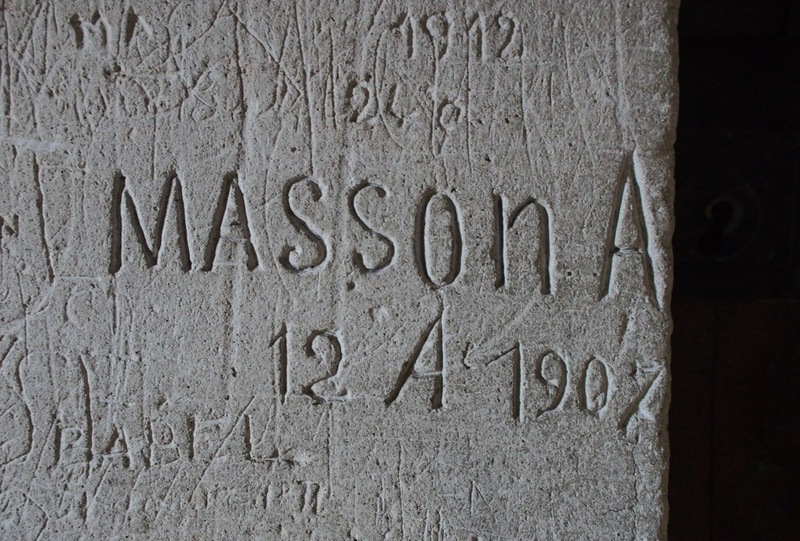 The 14th century was a rough time- the Hundred Years' War raged, and loyalties changed frequently. 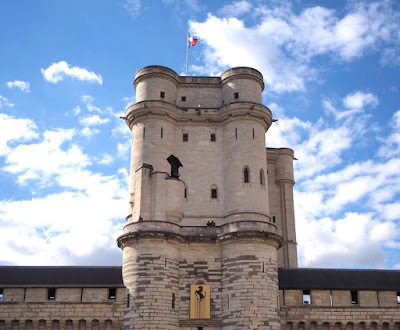 French king Charles V built himself a safe house, and the most striking part of Vincennes is the 50m tall keep (donjon), the fortified tower that was the last hold-out in case of attack. Like Saddam and his bunker, this is where the autocrat would sleep, safe from attack. The tower was only accessible through a wooden footbridge on the 2nd floor, which could be hauled up in case of attack, leaving the keep standing impregnable, with its own water supply and well-stocked cellars. 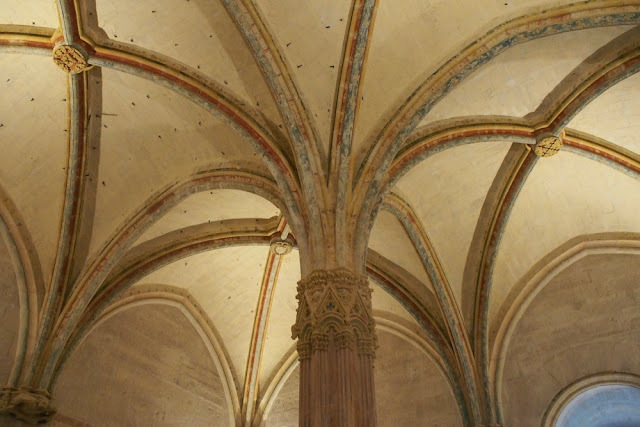 Charles's bedroom still has a nice Gothic ceiling. 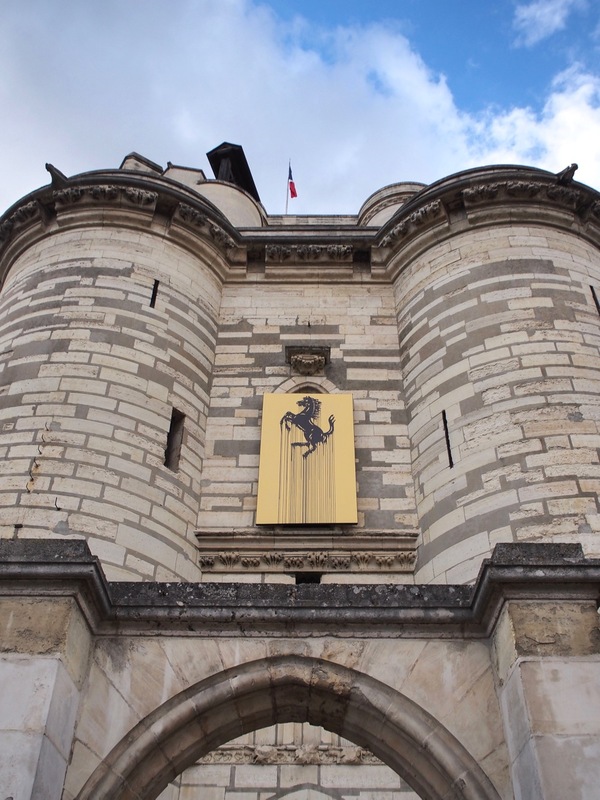 Still the tallest medieval keep in France, it is an impressive, domineering construction, very different from the frilliness of Versailles, Chantilly or Vaux-le-Vicomte. A bridge too far.. into the bunker. Whenever French kings wore out their welcome in Paris, they holed up in Vincennes until things calmed down. It was only under Louis XIV that Vincennes was abandoned as a royal residence when he moved to his new country cottage in Versailles. There's plenty of graffiti inside- some of it done by the prisoners who were enjoying royal hospitality here. These days Chateau de Vincennes is open to tourists, and allows them a good work out as they climb the 50m to the top of the keep. And there is the occasional modern art exhibition of course. Go check it out. The main entrance to the compound, decked out by Zevs. Easy peasy. Take metro line 1 to the Chateau de Vincennes stop, the last one on the yellow line. You'll be spitting distances from the Bois de Vincennes, a large wooded area, and the Parc Floréal, a botanical garden. 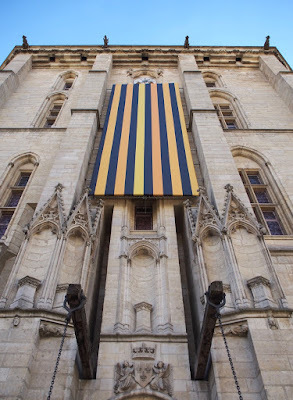 The Chateau's website is here, and lists temporary exhibitions. Noire éclair is the name of the exhibition by Zevs that can be seen in the pictures above.